The Midwest Renewable Energy Association promotes renewable energy, energy efficiency, and sustainable living through education and demonstration. Together with partners around the Midwest, we work to expand renewable energy adoption through innovative programs, renewable energy training, and educational events. 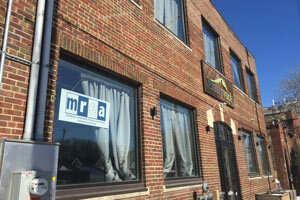 The MREA is a 501(c)(3) non-profit organization. The Midwest Renewable Energy Association will provide the highest quality renewable energy education and training experiences available. Our programs and services will respond to evolving energy issues, empower people to make wise lifestyle choices, and be accessible to the broadest possible audience. We will share our success with other like-minded organizations, recognizing that we are stronger when we all work together for our common goals. Like most good things, the idea of the MREA began in the kitchen. 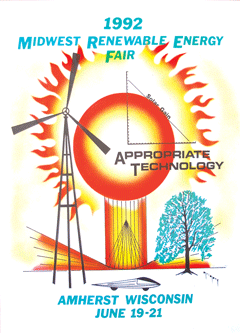 After reading a call to action by Richard Perez in Home Power Magazine, a group of friends took to the local farm kitchen and organized The First Annual Energy Fair, to be held at the Amherst, WI fairgrounds in 1990. Despite a rainy forecast the Fair saw tremendous success. Shortly after, the MREA was incorporated as a 501(c)3 nonprofit organization with an unwavering mission to “promote renewable energy, energy efficiency, and sustainable living through education and demonstration. 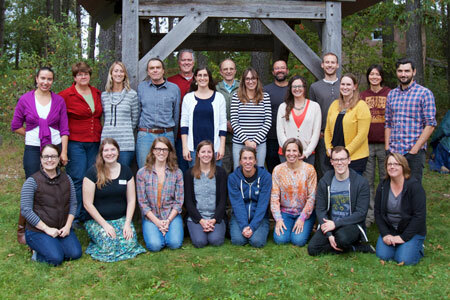 We grew steadily, and in 1999 we moved to our permanent headquarters, the ReNew the Earth Institute, in Custer, Wisconsin. In 2009, we opened a second office in Milwaukee to better serve the urban and suburban areas of southeast Wisconsin and northern Illinois. Then in 2015, we expanded our reach to Minnesota with a Twin Cities office. We now manage education programs and partnerships throughout the Midwest in an effort to expand the market for renewable energy, making this once ‘alternative’ energy our foremost option. We are a member-supported organization. We appreciate your support. MREA offers one of the nation’s top professional training programs for solar electric, solar thermal, and small wind systems. 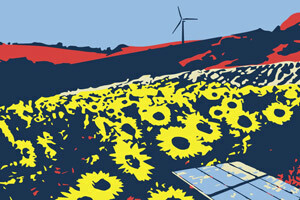 Each June MREA holds the longest-running grassroots renewable energy event in the nation. Save the date, June 21-23, 2019 for our 30th Anniversary Energy Fair. 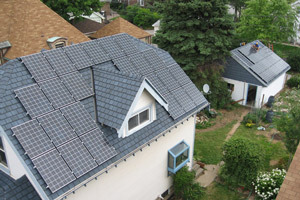 Find information on our solar group buy programs, Solar Power Hours, technical assistance and more at our website growsolar.org. 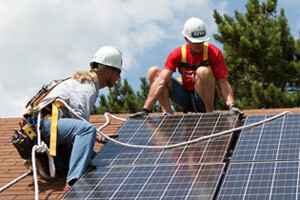 Each year on the first weekend in October, solar homes and business around the state open their doors for public tours. 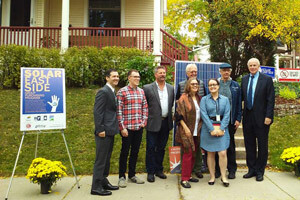 The Wisconsin Solar Tour is part of the National Solar Tour. We’re piloting an approach for solar deployment on and off campus with four Midwest universities through professional development events, the facilitation of campus solar development teams, training, and direct technical assistance. 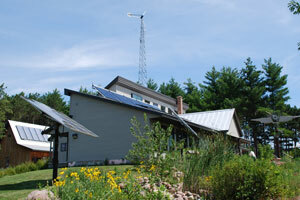 This is our demonstration site, educational facility, location of The Energy Fair, and serves as our headquarters. It’s powered by an assortment of renewable systems including solar electric, solar hot water, solar hot air, wind, and EV charging. 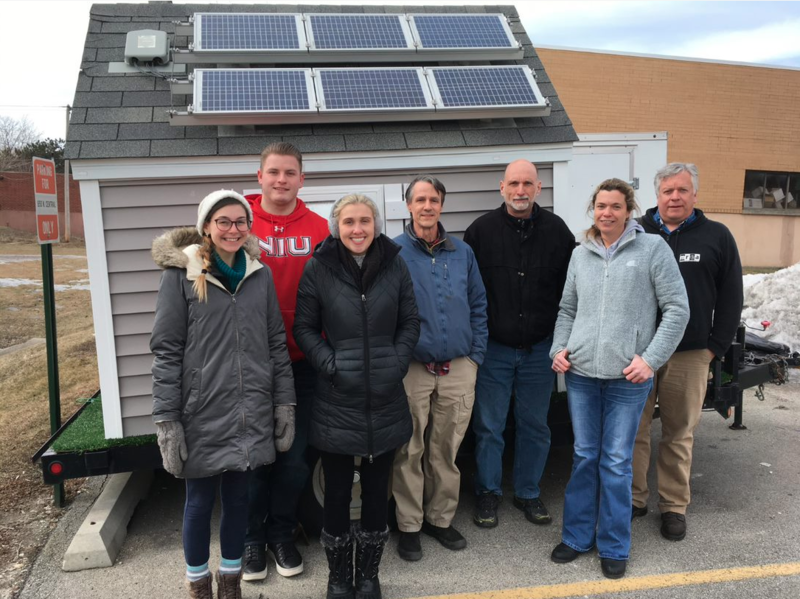 We’re increasing renewable energy education in Southeast Wisconsin and Northern Illinois, by collaborating with like-missioned organizations in the creation of Solar Group Buys. We couldn’t be happier to share an office within Milwaukee’s Escuela Verde! Since 2015, our Twin Cities office has been engaged in programs to grow clean energy. 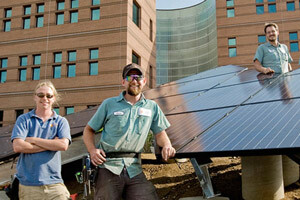 We provide assistance to municipalities, universities, and other institutions to go solar and offer training to grow the clean energy workforce.